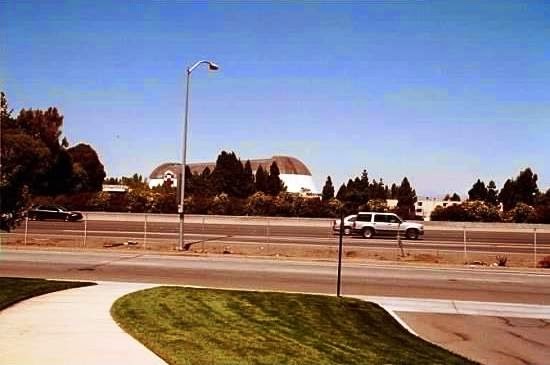 In the middle of our region - between the 49ers Levi’s Stadium, Google Headquarters and the Computer History Museum is another Silicon Valley landmark we pass by every day on Highway 101 that is currently going through transition. Yesterday I asked the question about this familiar landmark we pass by daily and I received this fun answer from the actual "landmark". Perhaps buildings do talk! Me. 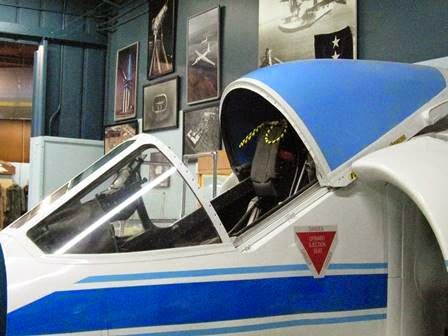 MT @Lighthouse_Tour: fave things to do SiliconValley: http://t.co/jhg2nd06Ng Spend time at unusual museum at Moffett Field. Name icon? 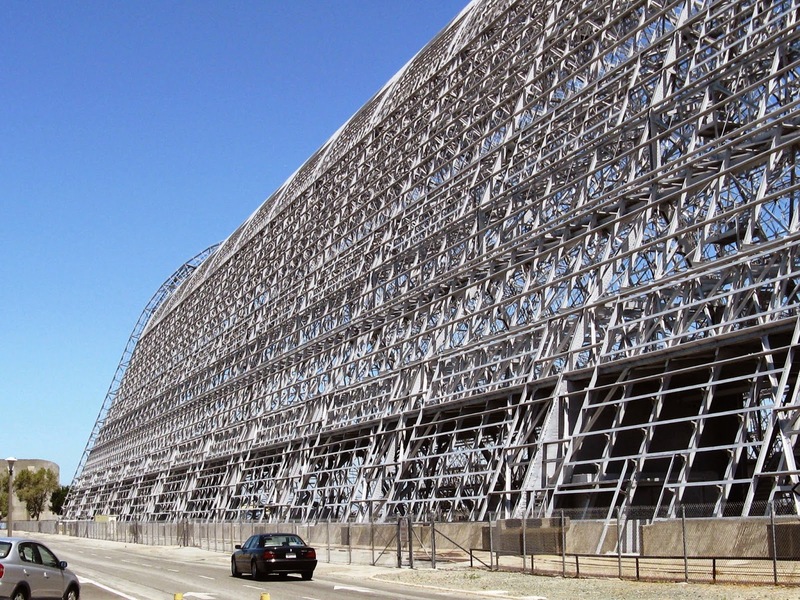 Hangar One at Moffett Field. It is bare right now as it is receiving a new face. This is one of our treasured symbols that combine the Bay Area and World War II. 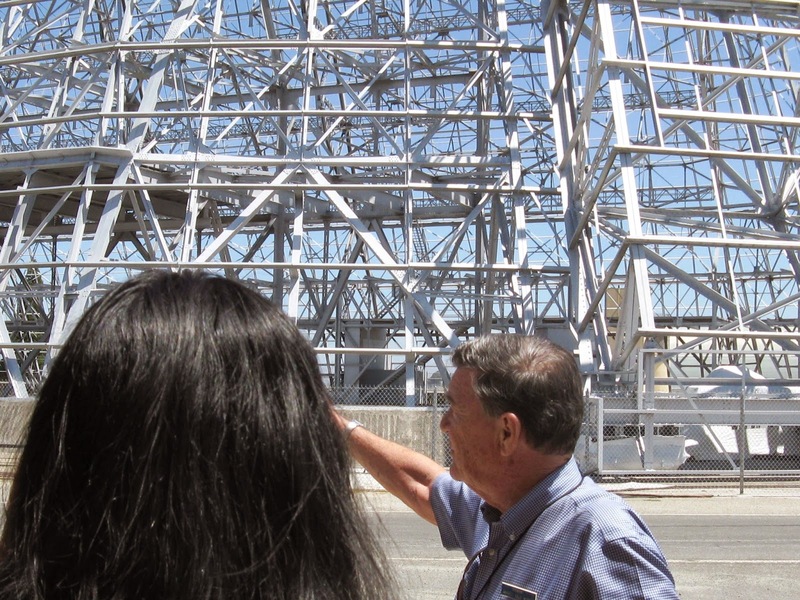 Yes, I went on this base several years ago and I have even been inside Hangar One for fun exhibits during the Blue Angels fly over on various Fourth of July holidays. What was the purpose of this landmark? Why here? 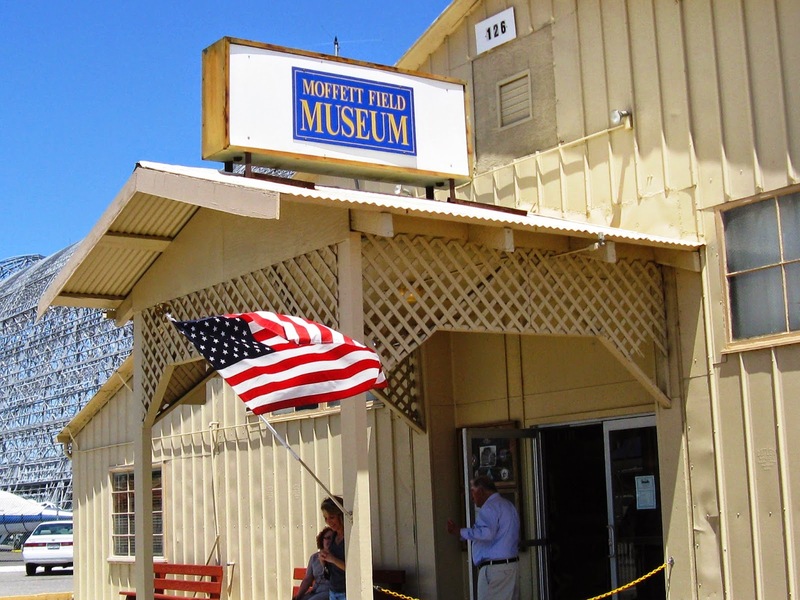 Moffett Field Historical Society Museum. Driving on the Base, I was greeted by an attendant who asked me for my identification and reason for coming. 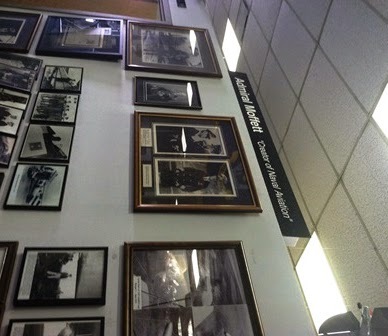 I said I was visiting the History Museum; the attendant gave me easy directions to drive on base a short distance away, and I found the Museum right next to Hangar One. My pictures are good to show you, let me tell that it is the stories from these Volunteers that really make this era come alive because they share from their own personal accounts. And, they unveil and welcome new stories from visitors all of the time. 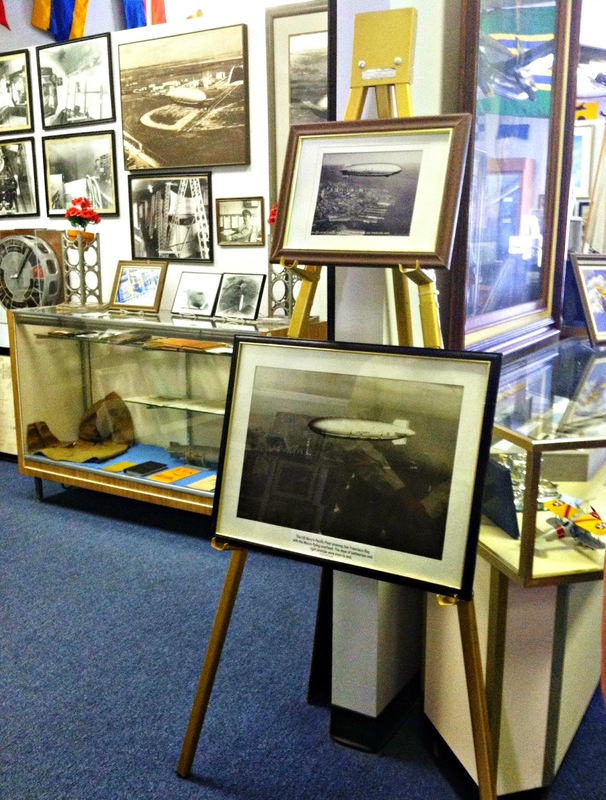 Many visitors who have experiences on this base from many years ago. Of course I was absolutely fascinated by the large display dedicated to women who served the Navy, especially the WAVES! There is a $8 donation, and it is open Tuesday through Saturday, 10 am - 2 pm. (hours and days may change) and I would definitely call in advance to schedule a docent tour from these volunteers. Each volunteer's story is unusual and personal . 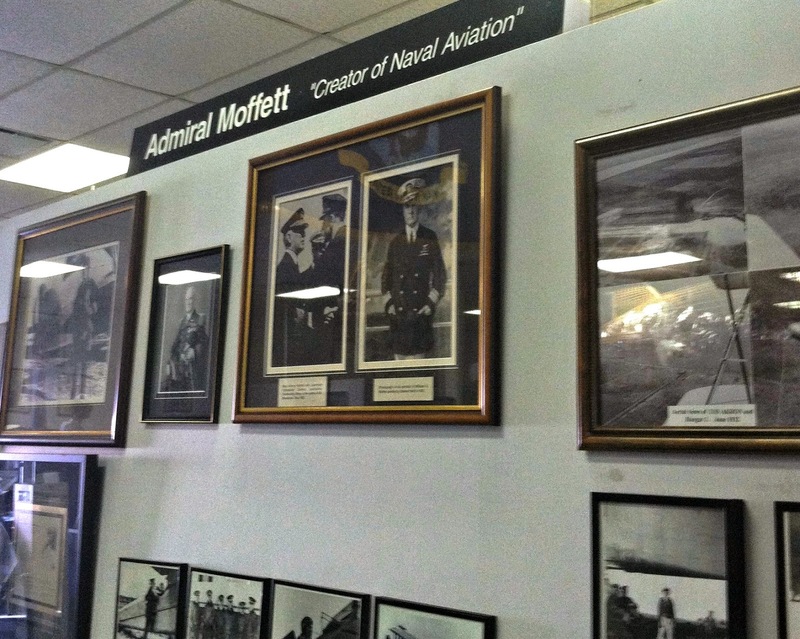 The Moffett Field Historical Society Museum website has quite a bit of information to absorb as you do your research. Some highlights to see follows. 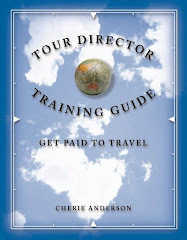 Busy, busy active planning vacations this year. It is fun to go together, Lighthouse Travel & Tours.